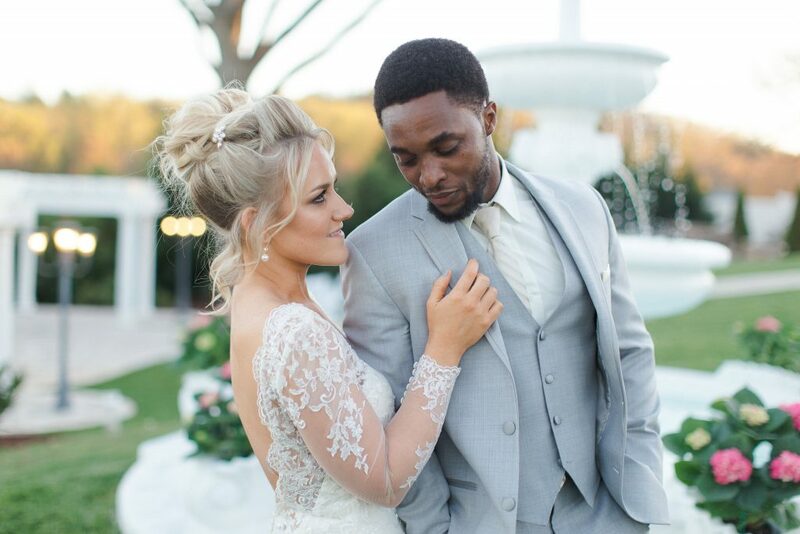 This is the incredible story of a British Nigerian man who fell in love with a beautiful Florida girl. Dele Rockson was born in Sweden to the Nigerian Minister of Foreign Affairs, which meant his family traveled a considerable amount. Despite being born in Sweden, Dele and his family moved to both the United Kingdom and Nigeria when he was growing up. 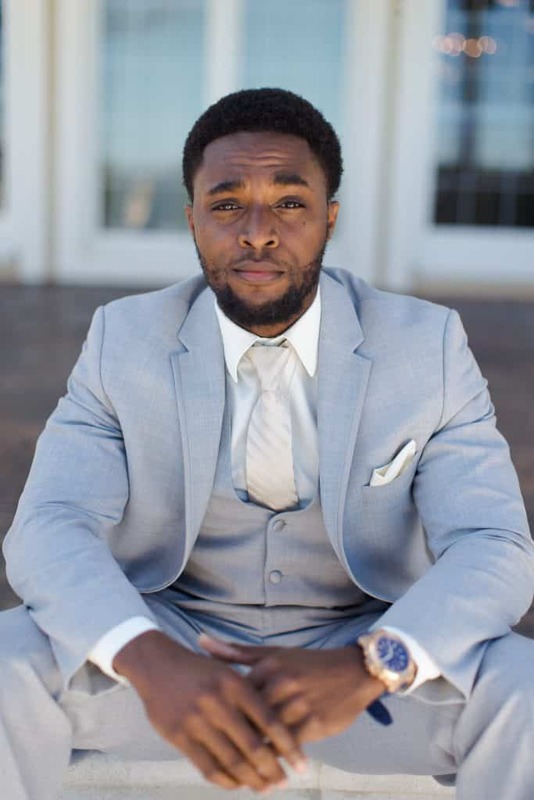 When it came time for Dele to attend high school, he and his brother moved to Lynchburg, VA, where he would meet his future bride, Rebekah — a Florida girl through and through. 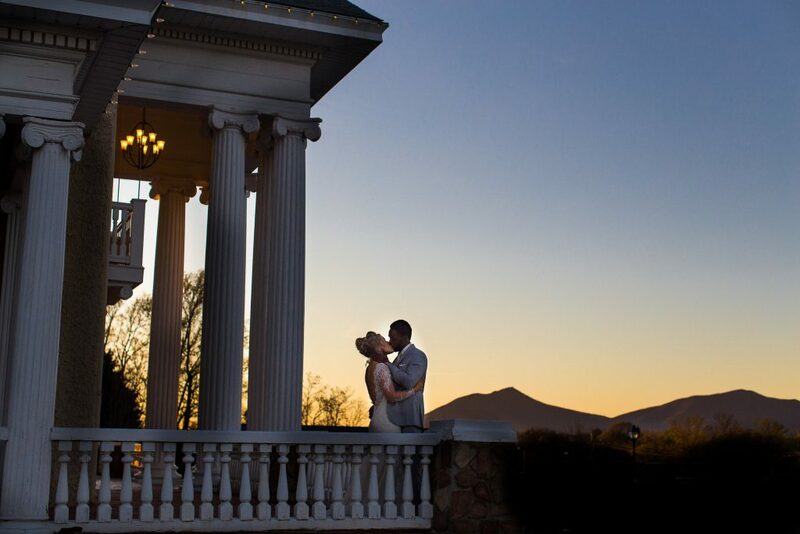 Her father was a pastor in Florida, but she moved to Lynchburg after college. Dele and Rebekah began dating in 2015, and the rest, as they say, is history. 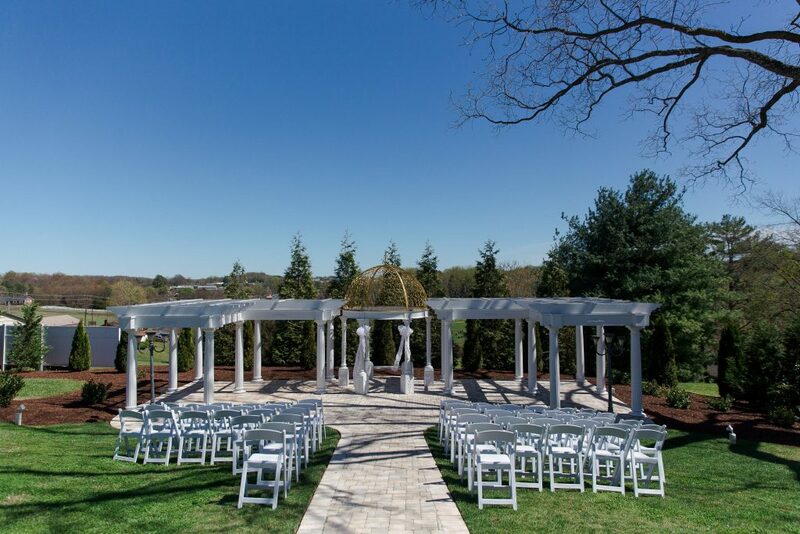 It wasn’t long before they found themselves standing beside each other at The Bedford Columns‘ breathtaking ceremony site, vowing to keep each other for the rest of their lives. 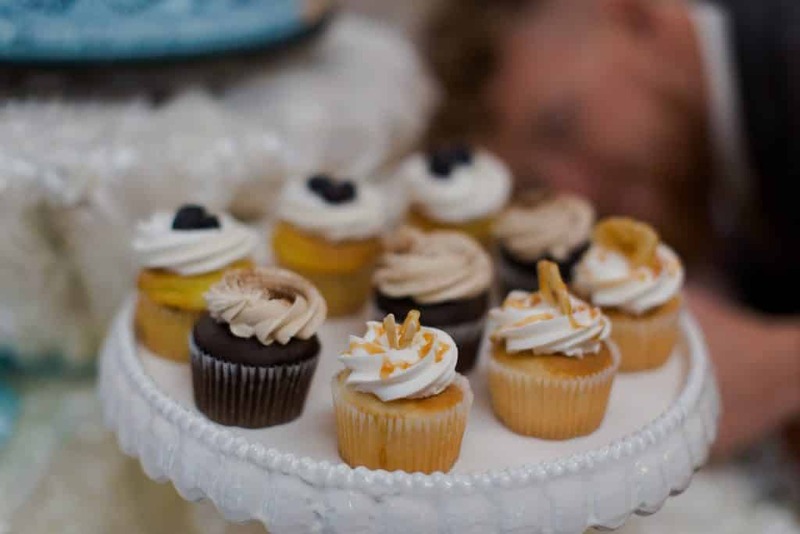 This wedding was special because every service was provided by Entwined and its various sister companies! 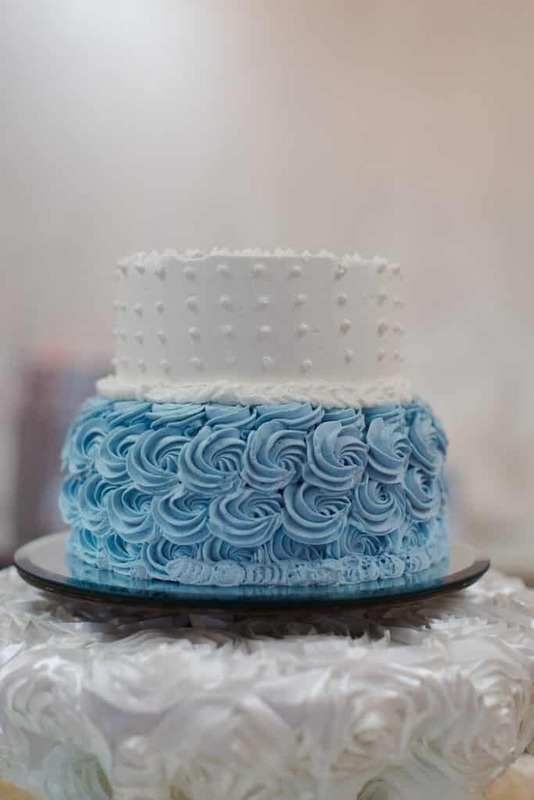 From food, wedding planning and setup, and linens, to florals, transportation, and music, everything you see below was done courtesy of Entwined Events. Keep an eye out for company shout-outs as you read! 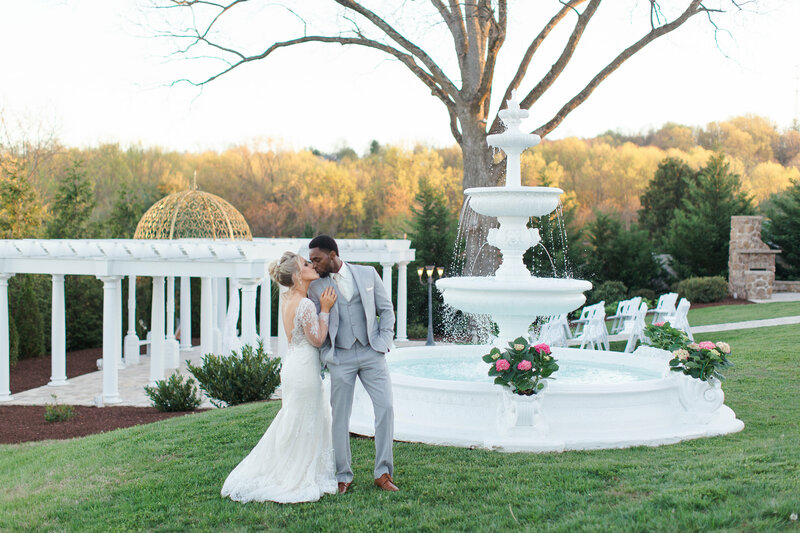 A special thanks to Lauren Paige Photography, who chronicled their beautiful ceremony, giving you a glimpse into their big day! 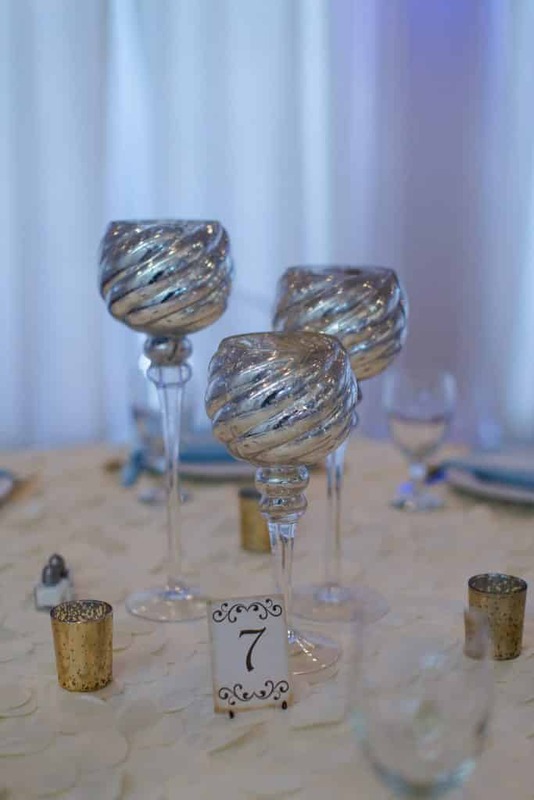 Let’s begin by taking a look at Dele and Rebekah’s décor and theme of choice. 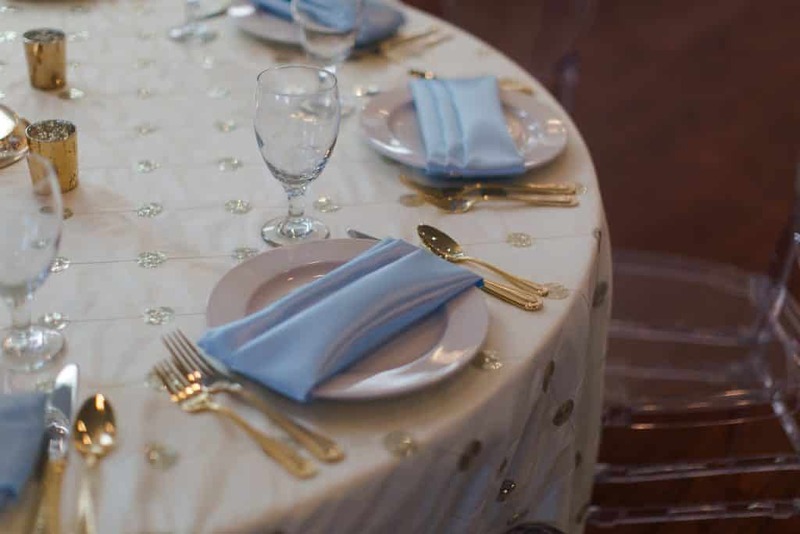 This pastel blue and brilliant gold, paired with a soft cream tablecloth truly exudes elegance. 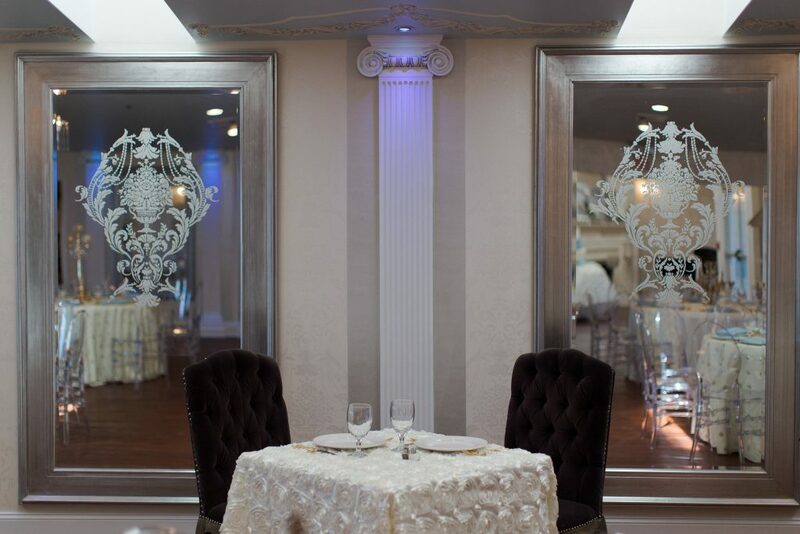 The head table features a rose tablecloth and simple upholstery on these regal chairs. The soft blue and gold theme meshes perfectly with the aesthetic and interior design of The Bedford Columns. 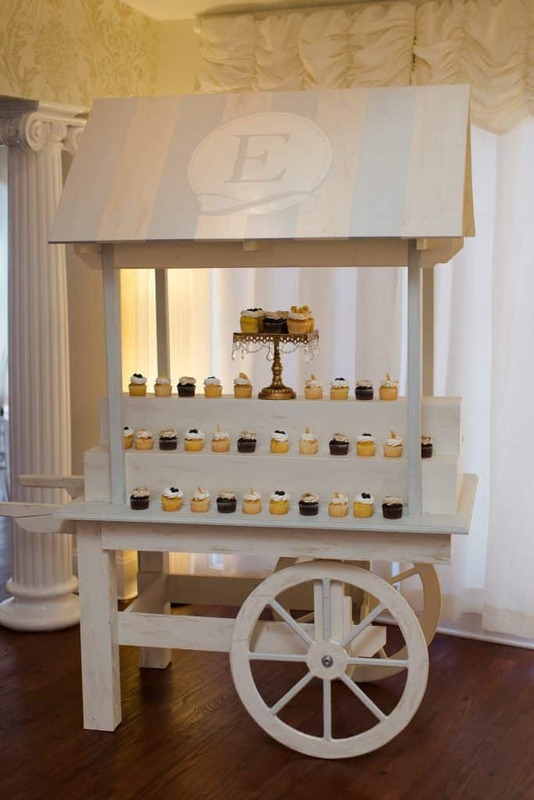 The Rockson wedding featured a gorgeous wedding cake made by the Entwined Events culinary team, as well as this elegant cupcake cart, branded with the Entwined Events logo and featuring more delicious baked goods from our team! Check out these handy travel mugs! 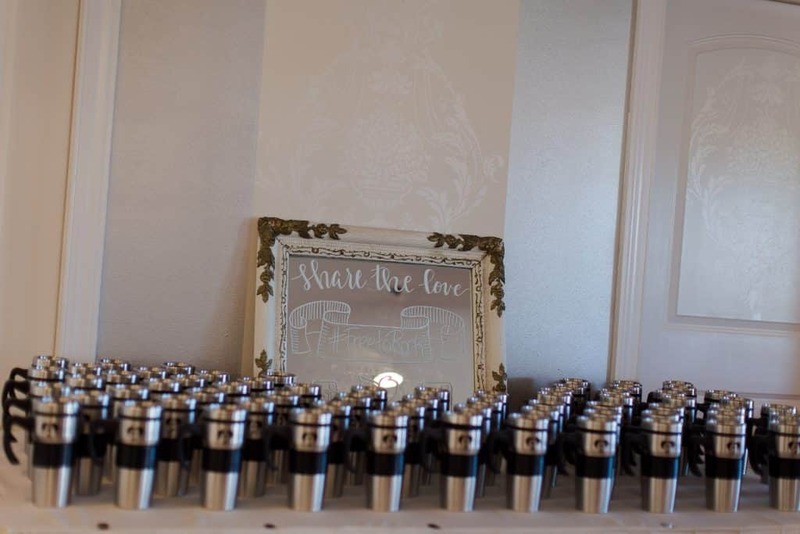 Dele and Rebekah encouraged their guests to “share the love” and to use their hashtag, #FreeToRock, as they gave everyone these commemorative cups. 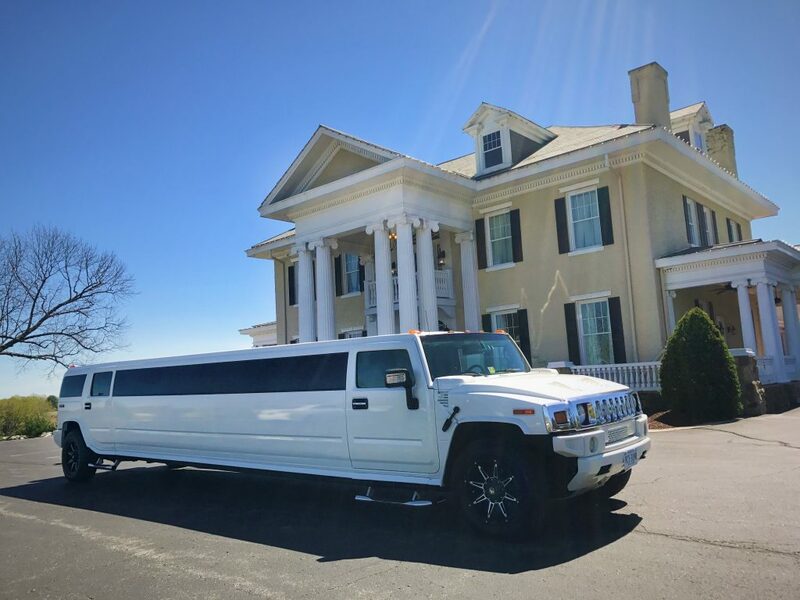 On the morning of the wedding, this sporty Hummer Limo picked up Rebekah and her bridesmaids, and took them to The Bedford Columns. Transportation was provided by our very own Black Tie Trolleys! Rebekah’s wedding day was finally here! 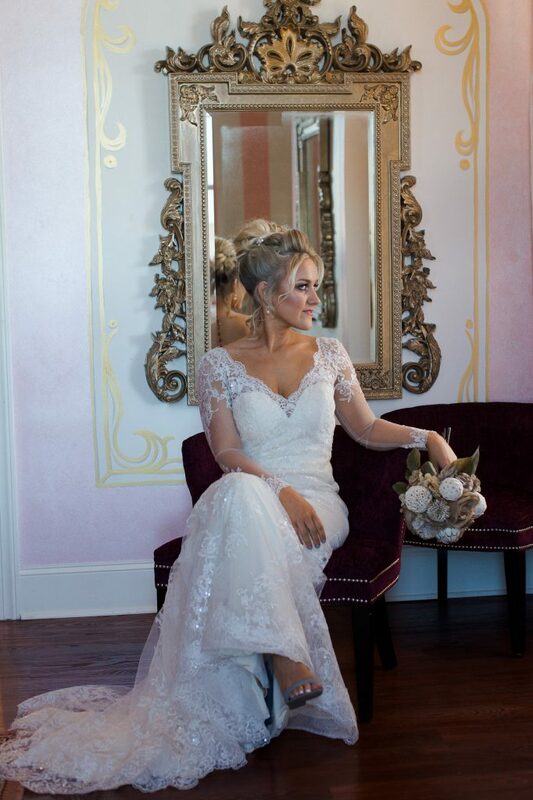 The beautiful bride gets ready for her big day in The Bedford Columns’ incredible bridal suites. Take a look at the bride’s one-of-a-kind bouquet! 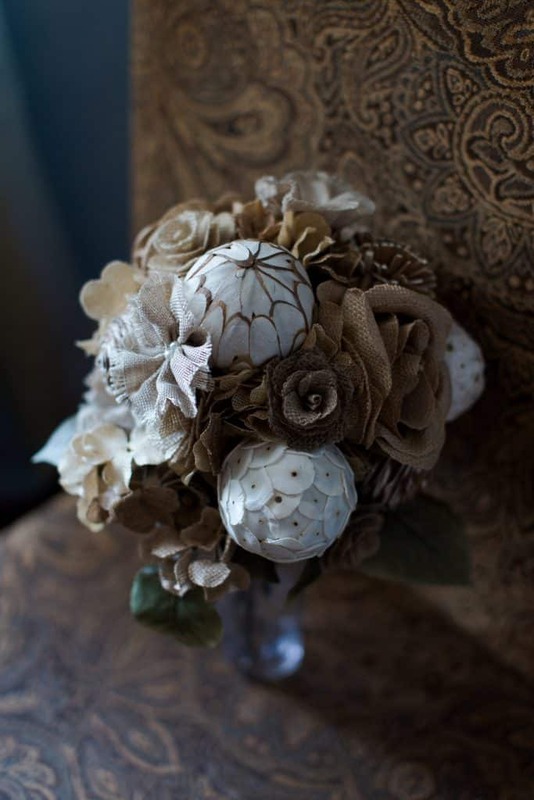 It features gorgeous burlap roses for an essence that boasts both simplicity and elegance. This bouquet was designed by the talented florists at Bella Rose Floral & Designs. Rebekah looked stunning in this amazing dress. 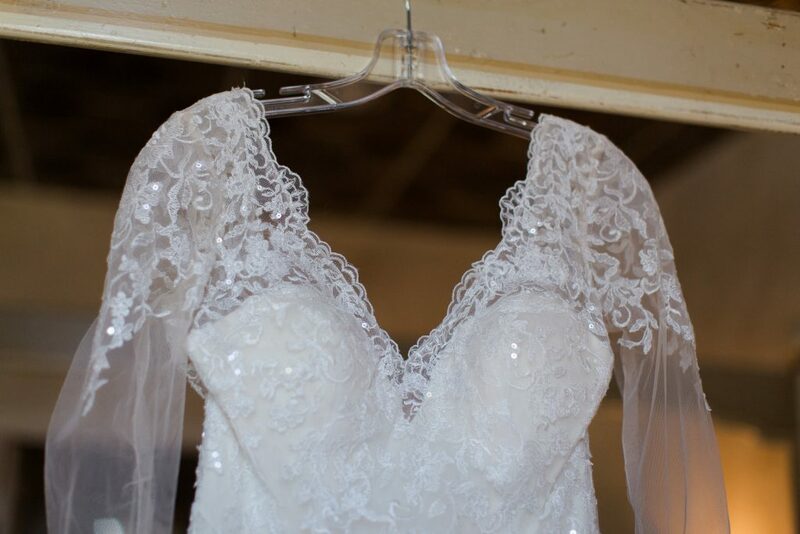 After trying on so many different dresses, she finally decided that Roberta by Maggie Sottero was the perfect fit for her. We certainly agree! 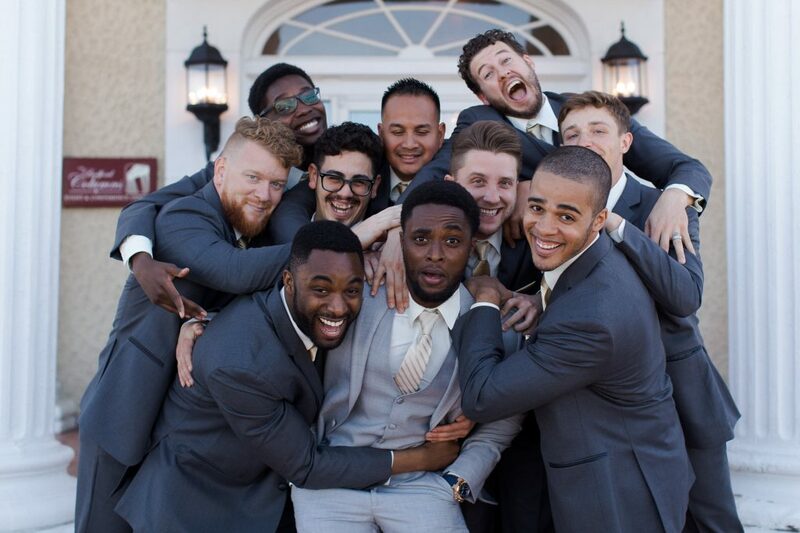 While Rebekah and her bridesmaids got ready for the wedding, Dele and his groomsmen did the same. 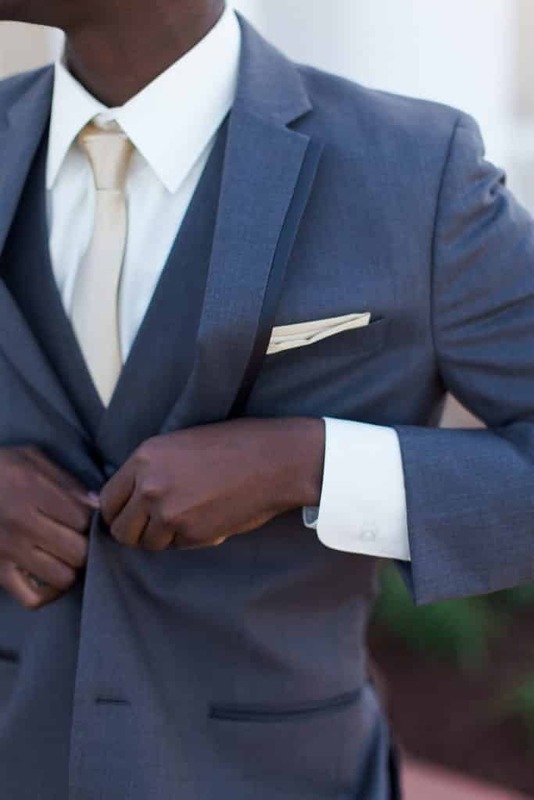 They all looked dashing in their navy three-pieces and soft gold ties. Just because you look great doesn’t mean you can’t have some fun, right? 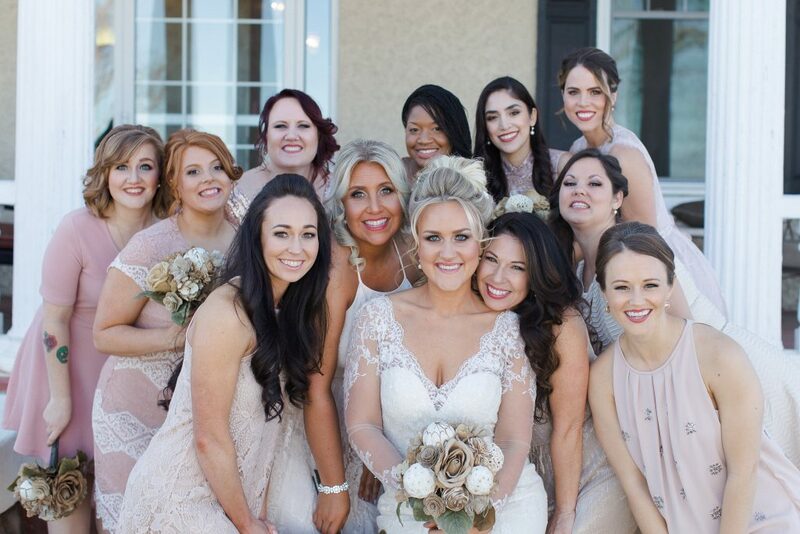 The bride and her beautiful bridesmaids added a new color to the mix with their various rose-colored dresses! The moment both Dele and Rebekah have been waiting for is finally here! 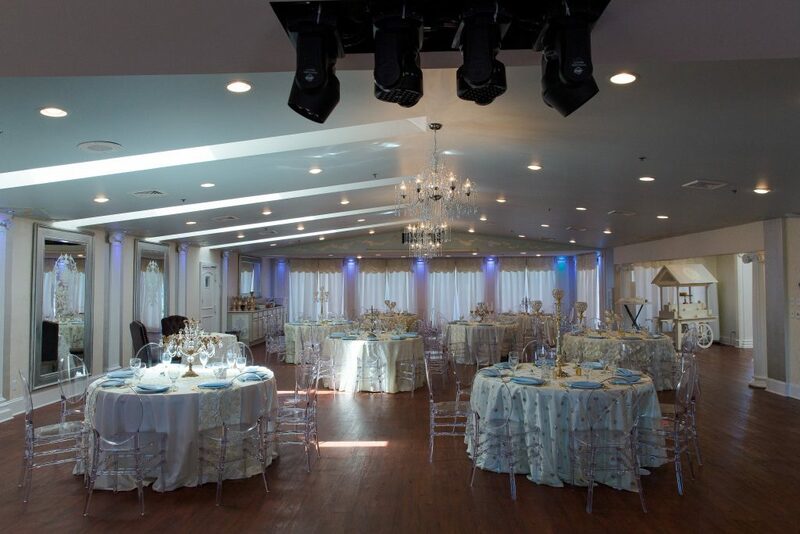 The ceremony space is prepared, and everything is in its right place. 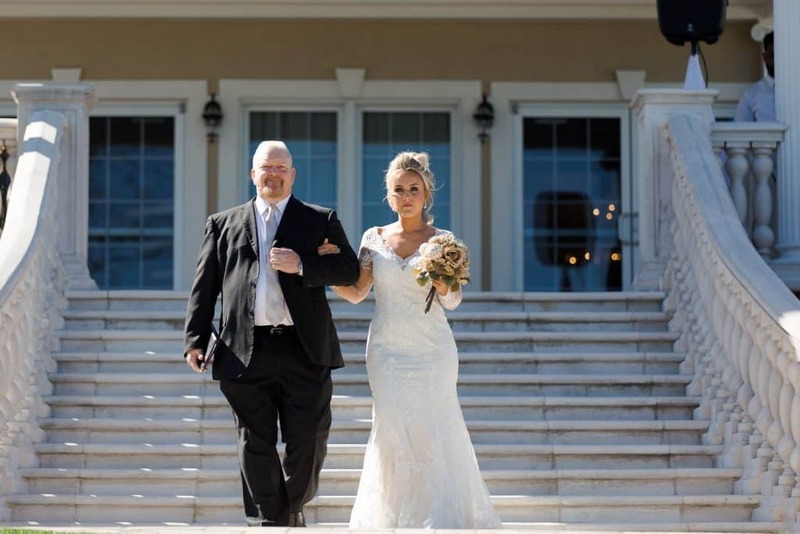 Rebekah’s father walks her proudly down the aisle as he prepares to give her away. 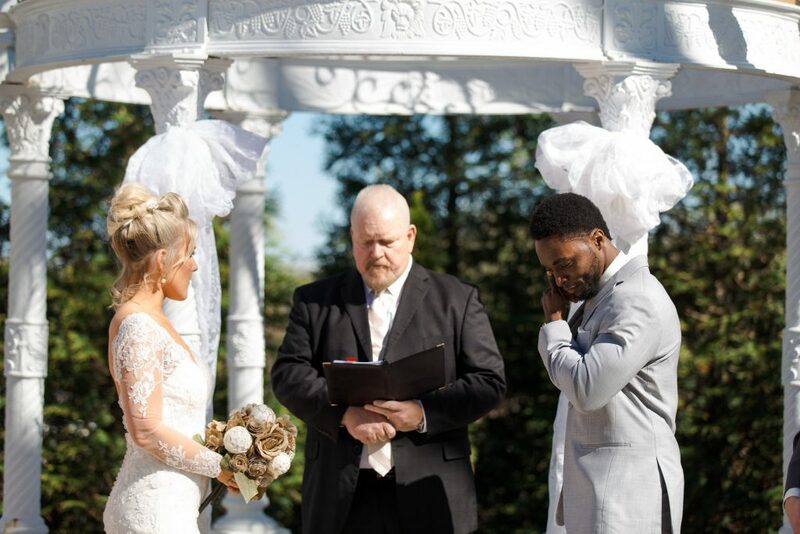 As a pastor, he also prepares to officiate the ceremony. 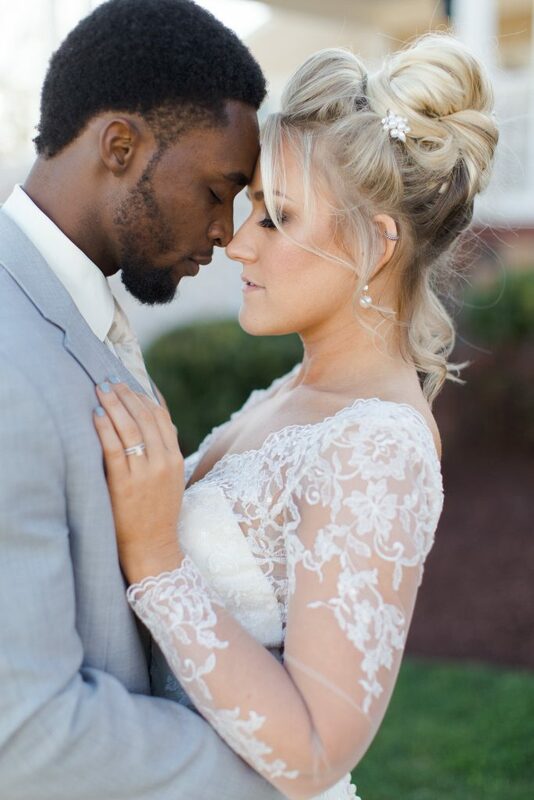 As Rebekah joins him at the altar, Dele wipes a tear from his eye. 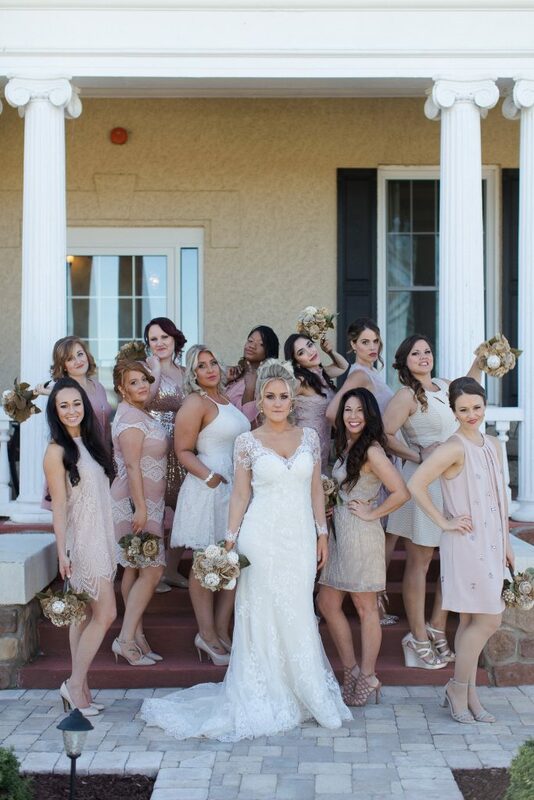 The entire bridal party poses after the ceremony. 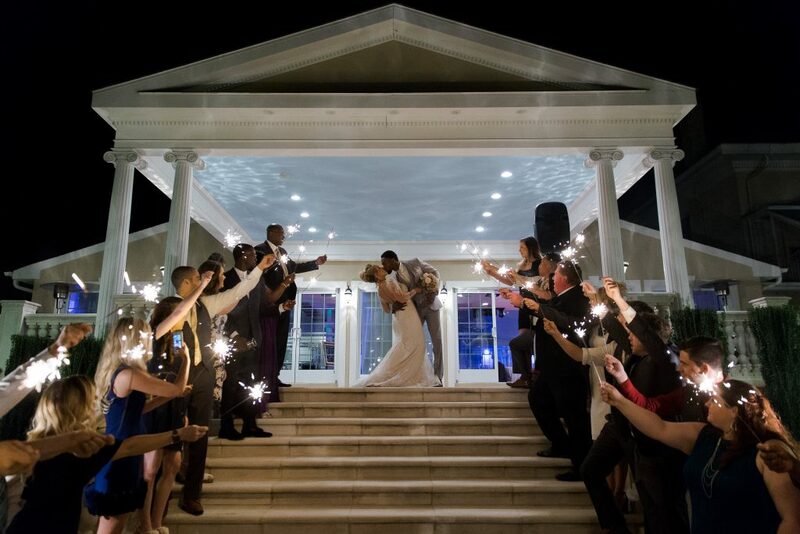 As the night came to a close, friends, family, and guests saw Dele and Rebekah off. 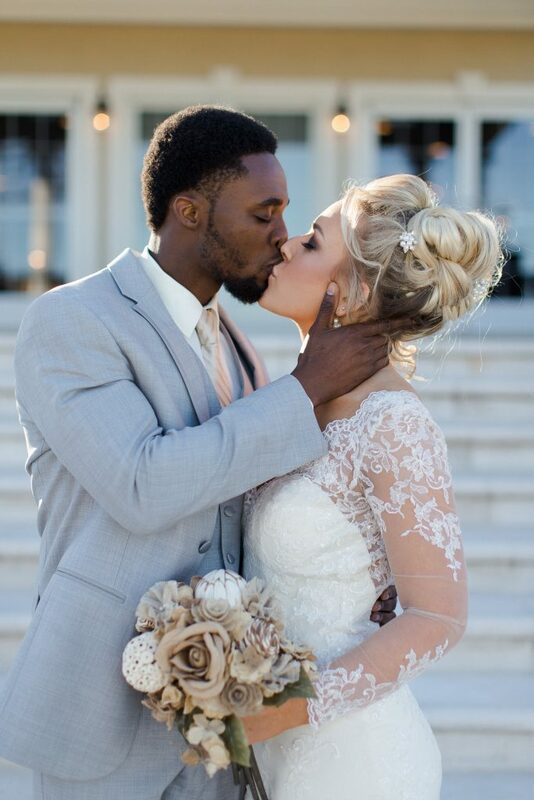 The beautiful story of how these two met is just the beginning of a lifelong tale of love and happiness. We truly wish Mr. & Mrs. Rockson the best!